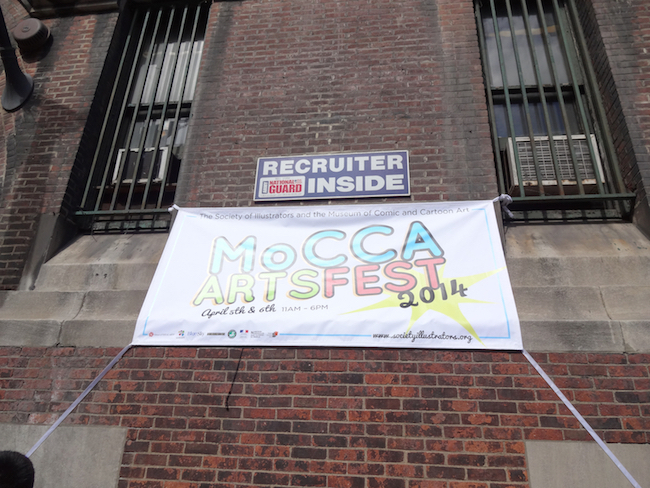 Under the auspices of the Society of Illustrators, the MoCCA Arts Fest continues to become an ever-better show. Here are some quick thoughts on my time there this year. 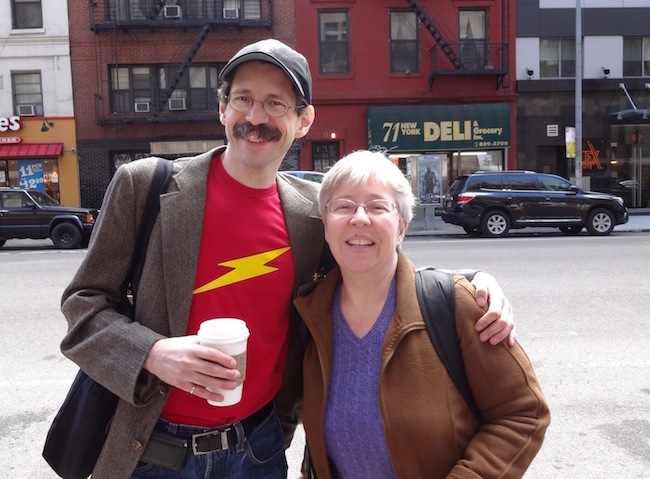 Brigid Alverson and I roomed together, which was a great way to decompress from the show, sharing notes about discoveries and some great cheese plates. 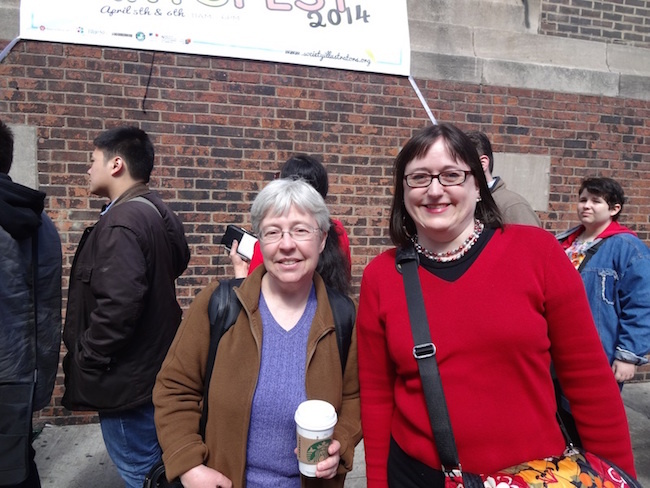 Here she is with Gary Tyrrell, whom we bumped into at show open and then I never saw again. Bummer! He’s always got great insight into comics, particularly digitally. 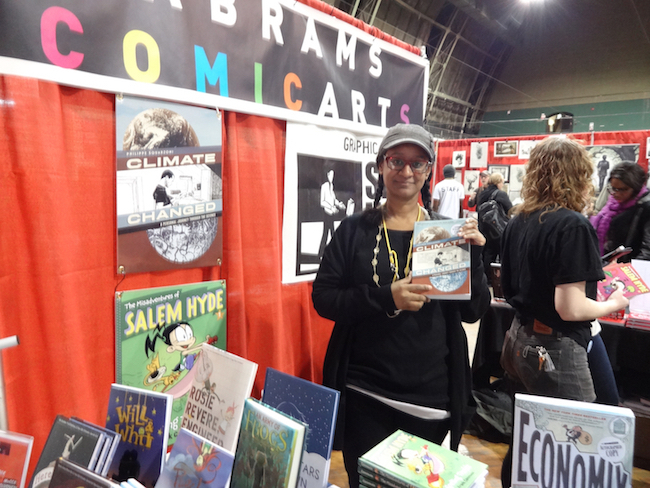 I was thrilled to get an advance copy of Climate Changed, an upcoming graphic novel from Abrams edited by Carol Burrell. It looks gorgeous, and the topic is particularly timely. 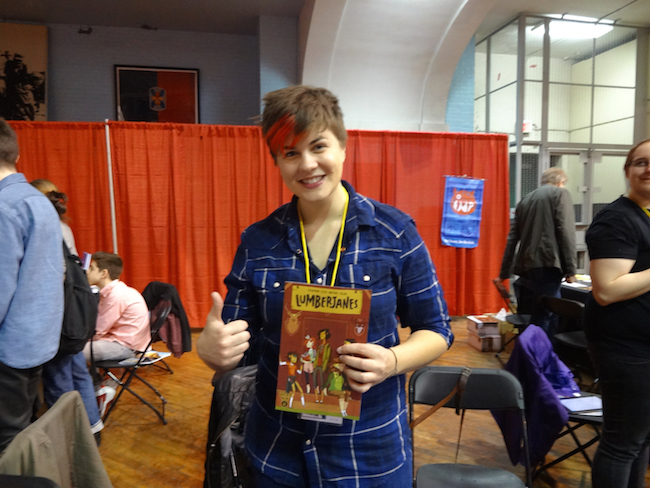 Another early release was the much-anticipated Lumberjanes, which looks terrific. I also picked up a copy of Katie Skelly’s Operation Margarine from AdHouse Books. The show had great timing for getting the jump on anticipated works. 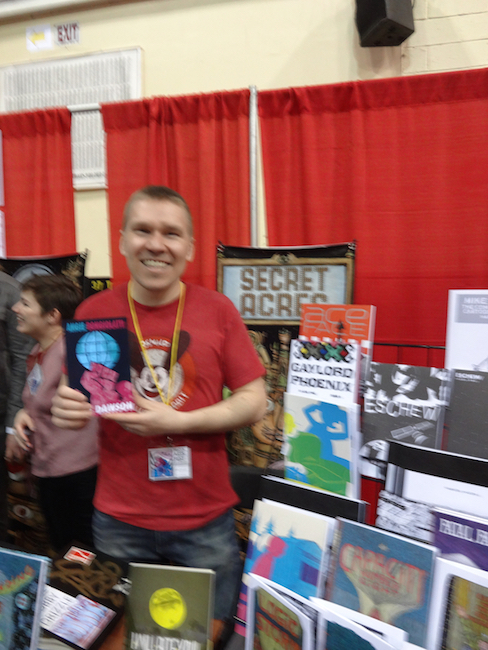 Mike Dawson had the first copies of his new graphic novel, Angie Bongiolatti from Secret Acres. 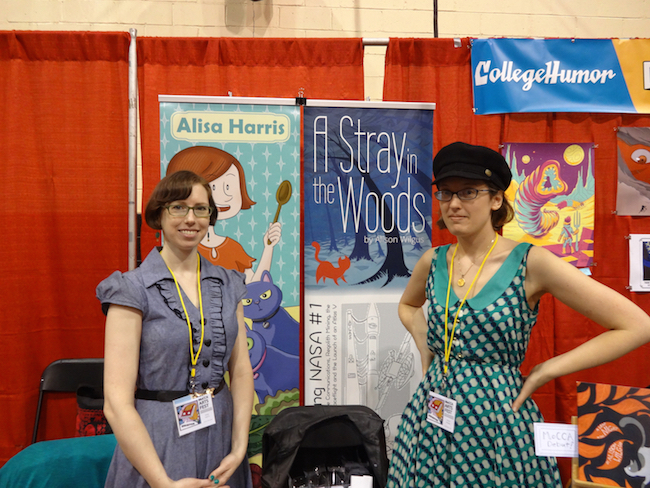 It’s always a pleasure to see Alisa Harris, who put together a short collection of a few of her Cooking Up Comics recipes, and Alison Wilgus, who both had snazzy banners and eye-catching outfits. I came home with a ton of great reads and lovely memories of conversations and meals. A very rewarding show. 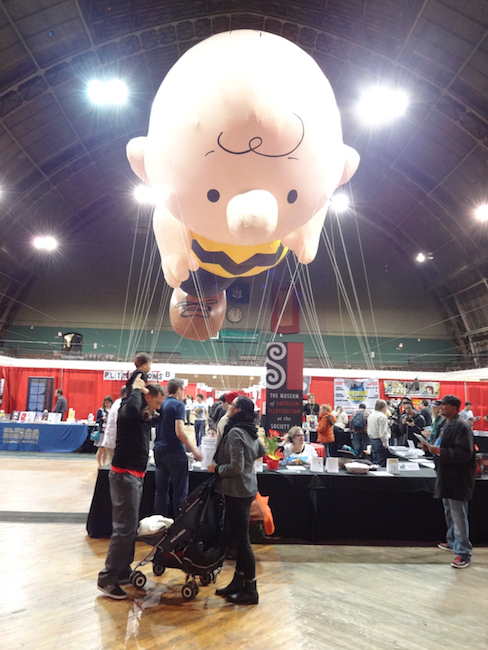 I think a lot of people agreed, since there was still a line to get in at 3 PM on Saturday.